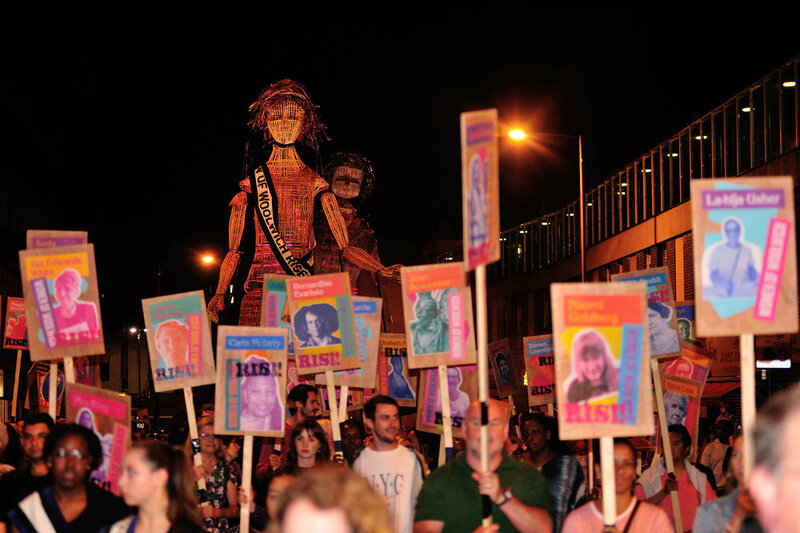 Design and build of 85 placards, each displaying a 'Woman of Woolwich' for a celebratory march through Greenwich. collaboration with Molly Syrett. Greenwich and Docklands International Festival 2018 is celebrating Women of Woolwich with a processional performance. We designed and produced 100 custom placards, each celebrating an individual person worth shouting about. We also created promotional images and videos to spread awareness of the event and, more importantly, explain and encourage people to nominate their Women of Woolwich! We chose a colour palette & typography as diverse as the women they represented, which would work together in any random combination.